This past Friday night, the entire heavy metal community was stunned and saddened to hear that legendary drummer Vinnie Paul has passed away. 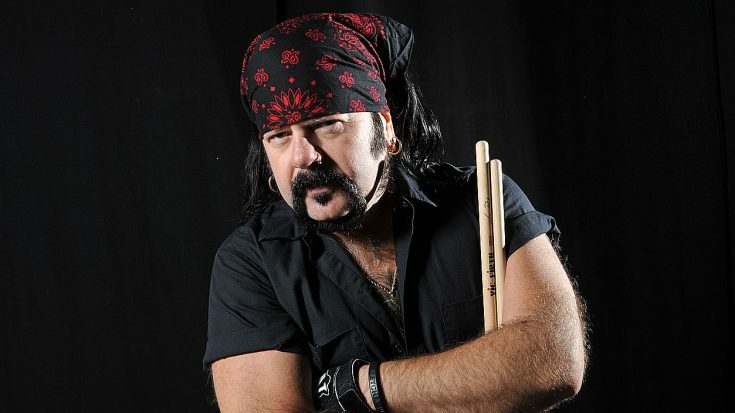 Known for his amazing work with such bands as Damageplan, HELLYEAH, and of course Pantera, Vinnie Paul was a pillar in the world of all things hard rock and heavy metal. Needless to say, he will be forever missed. The news was first broken on Pantera’s official Facebook page in a statement that read as seen below. Earlier, TMZ reported that the body was being taken to a county medical examiner to determine the official cause of death. Las Vegas Review-Journal is now reporting that sources that knew Vinnie are saying that the cause of death was a ‘massive heart attack’. This has yet to be confirmed by Vinnie’s family or management, but it’s being reported by several other publications. Our thoughts and prayers continue to be with all of Vinnie Paul’s friends and family during this sad time.